Looking for a single 8 ball or a new cue ball? 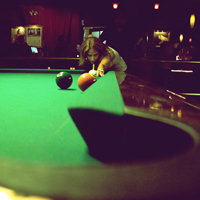 PoolDawg carries a wide variety of single balls for both home tables as well as coin-op tables. With over 30 pool table balls to choose from including a huge selection of cue balls (regular, oversized and magnetic), there's a billiards ball for everyone. You'll find the popular Aramith "measles" cue ball as well as oversized, magnetic and even gag and joke pool balls for sale. We also carry replacement balls for a number of popular sets from Aramith and Action.